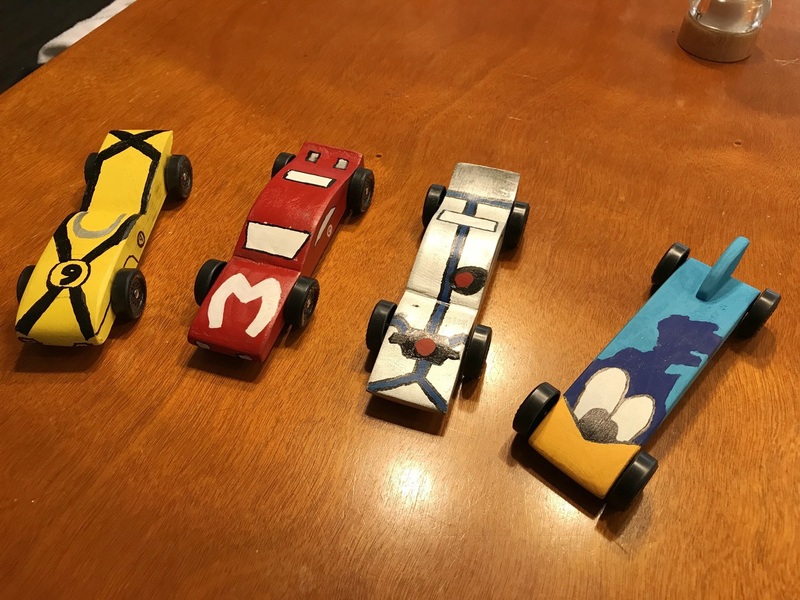 We take our Cub Scout Pinewood Derbies very seriously, but the point is to have fun, in the building, in the painting, and in the racing. 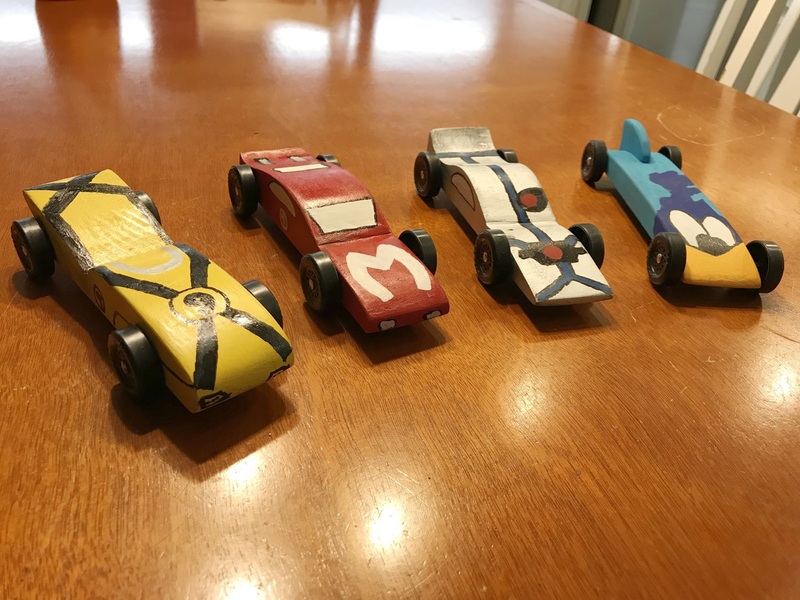 My oldest ran his version of Racer X’s speedster in the outlaw division, while my oldest Scout decided on a hardtop Mach 4. The youngest Scout broke with his brothers’ Speed Racer theme and went with DC Comics’ Cyborg for inspiration. Finally, my whimsical Road Runner. Beep! 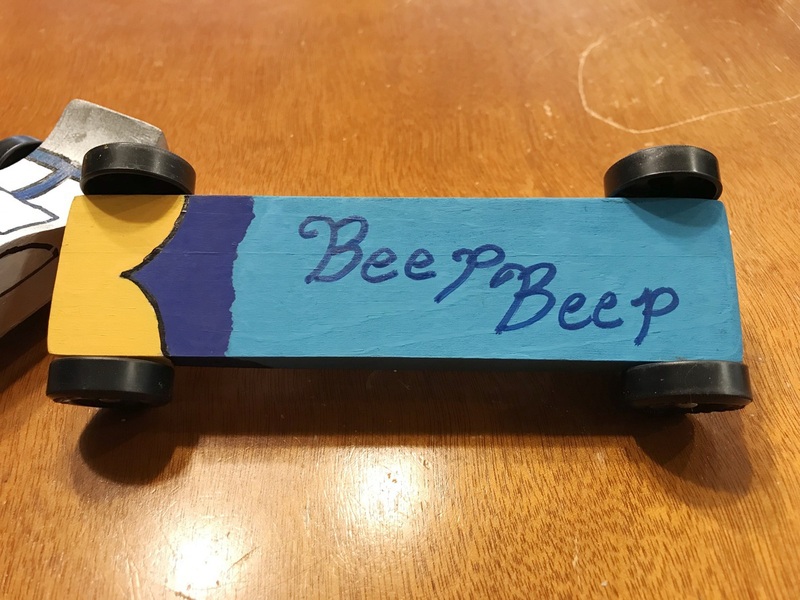 Beep!